Dr. Dong WANG is distinguished university professor of history and founding executive director of the new Wellington Koo Institute for Modern China in World History at Shanghai University, as well as research associate at the Fairbank Center of Harvard University since 2002. Centering on China's multi-faceted engagement with the outside world, Dr. Wang conducts original research in Chinese, English, French, German, and Japanese. Her book, The United States and China: A History from the Eighteenth Century to the Present (Rowman & Littlefield, 2013), has won the "Choice Outstanding Academic Titles 2013: Top 25 Book" award (out of nearly 7,000 books and across 54 fields) in the United States. Other acclaimed books that she single-authored include China's Unequal Treaties: Narrating National History (Rowman & Littlefield, 2005) and Managing God's Higher Learning: U.S.-China Cultural Encounter and Canton Christian College (Lingnan University), 1888-1952 (Rowman & Littlefield, 2007). She edited Christianity as an Issue in the History of United States-China Relations (a special volume of the Journal of American-East Asian Relations, vol. 13, 2008), as well as Restructuring Governance in Contemporary Urban China: Perspectives on State and Society (the Journal of Contemporary China, vol. 20, no. 72, November 2011), and Chapter 6 (300 pages), "The United States, Asia, and the Pacific, 1815-1919," in The Society for Historians of American Foreign Relations Guide: An Annotated Bibliography of American Foreign Relations since 1600, Brill, 2017. Her latest work includes: "Between Tribute and Unequal Treaties: How China Saw the Sea World in the Early Nineteenth Century," History: The Journal of Historical Association (Britain, A&HCI), 103, no. 355 (April 2018): 262-285; "Jindai huaqiao yu Zhongguo gaodeng jiaoyu," [近代华侨与中国高等教育公益事业 Modern Chinese diaspora and philanthropy in higher education], transl. by Shi Xiaoyun (史晓云), Jindai Zhongwai guanxishi yanjiu [Studies in modern Chinese foreign relations 近代中外关系史研究], vol. 7 (August 2017): 207-227, published in Beijing by Shehui kexue wenxian chubanshe (Social Sciences Academy Press 社会科学文献出版社); "Xin shiqi yingwen shijie zhong de jindai zhongwai guanxishi yanjiu," [新时期英文世界中的近代中外关系史研究 Modern China in world affairs: A historiographical essay] Shehui kexue pingjia [社会科学评价] (Beijing, Chinese Academy of Social Sciences) 10, no. 2 (June 2017): 65-75. Excerpt appeared in Zhongguo shehui kexue wenzhai [中国社会科学文摘], no. 10 (2017): 24-25; "US-China Economic Relations," in Andrew Tan, ed., A Handbook of US-China Relations, (Surrey, UK: Edward Elgar Publishing, 2016, pp. 155-177); "The Unequal Treaties and the Treaty Ports," in Tim Wright, ed., Oxford Bibliographies in Chinese Studies, and "The 'Letter Should Not Beg': Chinese Diaspora and Philanthropy in Higher Education," in John Fitzgerald and Hon Ming Yip, eds., Philanthropy and the Chinese Diaspora on the Pacific Rim, 1850-1949. 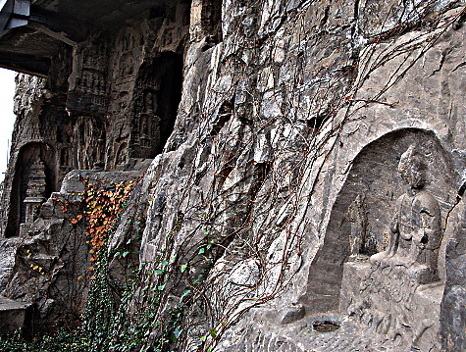 She is presently completing a book manuscript on Luoyang's World Heritage site, the Longmen Grottoes, in Chinese and global history.